This view of Mars from the Hubble Space Telescope's new Advanced Camera for Surveys provides the sharpest view of the red planet attainable by the Earth-oribiting observatory. 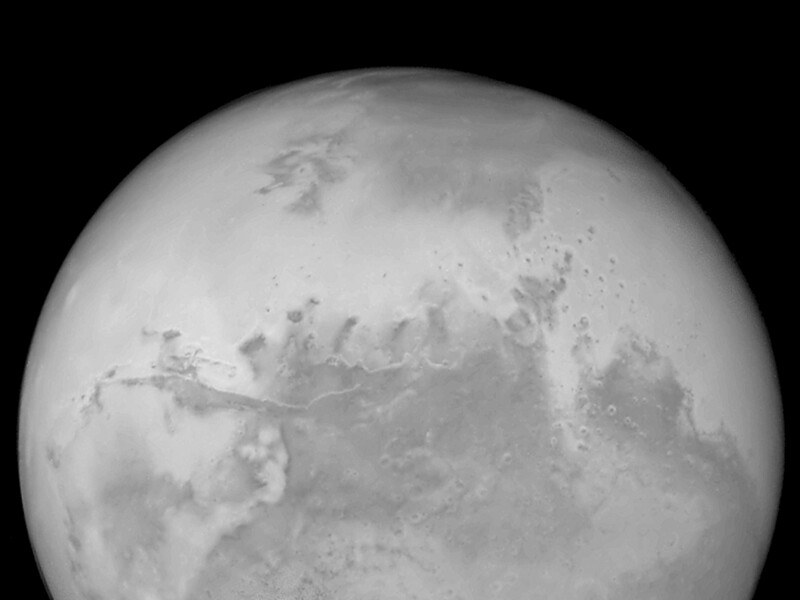 The picture was taken August 24, when Mars was approximately 34.7 million miles (or 55.8 million kilometres) from Earth. 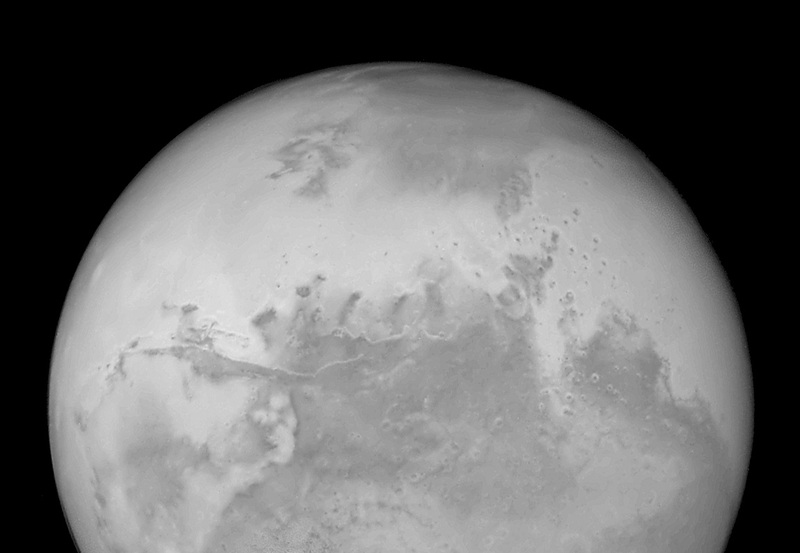 The central linear feature running from left to right is Valles Marineris, a 2,480-mile (4,000-km) system of canyons. Sunlight illuminates one wall of the canyon, creating a striking white linear feature. 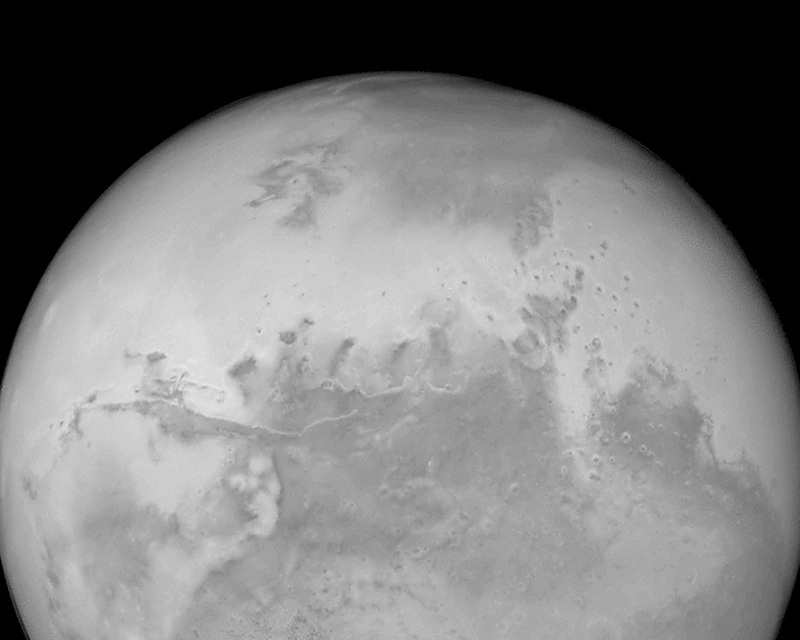 To the bottom left lies Solis Lacus (Lake of the Sun) At far left is the great Tharsis plateau. 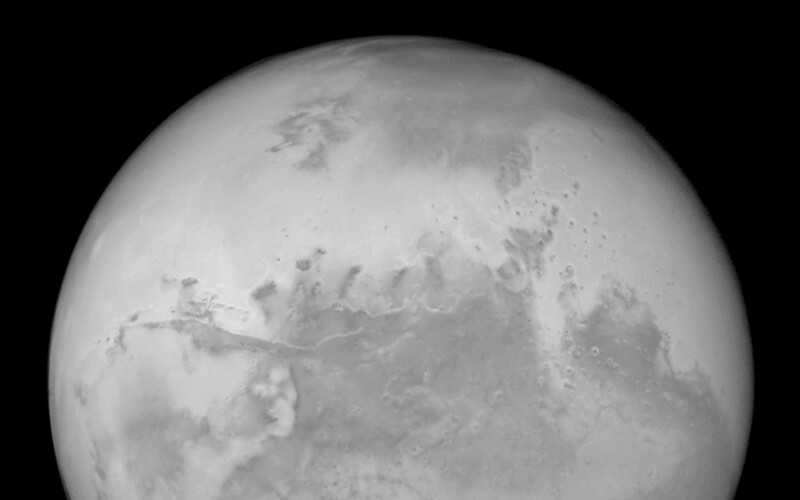 A chain of three dormant volcanoes can barely be seen along the left limb.